It's often said you're very fortunate if you make more than a few close friends in a lifetime. 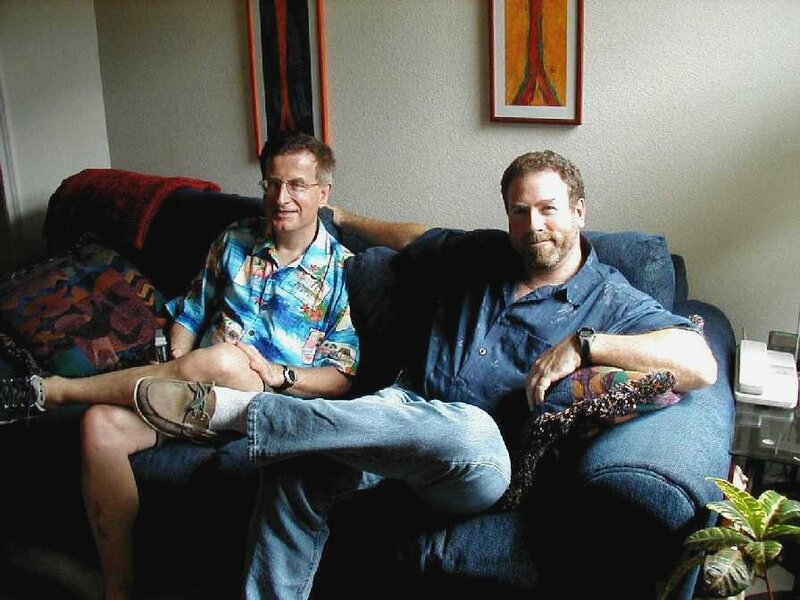 I knew Thomas Washburn for over 15 years, and he was indeed one such rare and valuable friend. A truly great friend shares both your sorrow and your laughter, listens well, dispenses advice carefully, provides unfailing trust, and comes to your assistance no matter how inconvenient. In short, a close friendship enables one to continue a conversation from exactly the point where you last leave off; regardless of how much time and distance elapses in between. By all these measures and more, Thom was an exceptional friend and advisor. We met in Toronto, Canada. Thom left to work in China, and I headed off to Houston by way of New Jersey. Thom next lived for a time in Iowa, but then one day, he also moved to Houston and suddenly, there he was, working on the same project as me! As you can image, we promptly continued our conversation from the point where we left off. Newly arrived in Houston, Thom set about building a house in Katy. Now anyone who has supervised home construction knows this is often more difficult than improving your golf handicap! As was typical for Thom, he had a punch list of defects that must have been over a thousand items long. Well, perhaps I exaggerate a little; it was at least more than a hundred! Thom eventually whittled down the list, and then just before the Builder was ready to throw in the towel, he agreed to move in! Then Thom was off again. This time for 17 months on assignment in the Czech Republic. Here Thom thought he'd found the Holy Grail because Czech beer was amazingly good and cheap! On weekends Thom proceeded to tear around other parts of Europe visiting cafes, castles and cathedrals. His only regret was visiting the Porsche factory in Germany and not buying one to ship home! Throughout the trip, Thom e-mailed back a diary of his adventures along with an album of digital photos. These diaries now constitute quite a legacy, and I shall of course re-read them with special interest! Then, returning home to Houston, Thom and I once again continued our conversation from where we last left off. In lieu of a Porsche, Thom proudly purchased a Turbo Mercedes to speed him around Houston. He gently teased me about the boring limitations of my own sluggish pickup truck. Thom's competitive spirit meant he was always pushing the envelope in anything he took on. After a short apprenticeship in cell phone text messaging, he then racked up something like 1049 text messages in a single month (and this time I don't exaggerate)! Needless to say, after acquiring a camera cell phone, Thom immediately became our roving reporter! Thom was a man of varied interests and uncommon intelligence. His love of art ranged from French Impressionism to the Art of the Automobile. In food he particularly liked Tex Mex, steak, rib and Italian dishes. In drink --- well I've already mentioned the beer but he also loved complex red wines and light-hearted white ones tool And he indulged his Canadian tastes by drinking Crown Royal. In music Thom listened to everything from Rock and Broadway to Classical and Opera. He dressed meticulously at work or play and later had a penchant for Tropical shirts. In sports he liked baseball, hockey, biking and first and foremost, golfing. I'm told Thom as in fact an honest golfer who had an admirable system for keeping score for the rest of the team. And when that swing of his truly connected, he could really drive the ball! One of my regrets is that I spent so much time huffing and fluffing on the driving range that much to Thom's amusement, I never actually played him. True to his Canadian heritage, Thom joined a weekly hockey league in Sugarland. After playing he would periodically show up with a dramatic bruise or an alarmingly swollen joint, but then he would always shrug it off and be fine again one week later. As for the biking, what began as a dare ended up as a passion for Thom. Determined to do the MS-150 for the first time, we were happy to finish the ride doing a mere 15 or 20 mph. However, true to form, in subsequent rides Thom set his sights ever higher and faster. Thom had such enormously powerful leg muscles I could never equal the way he blasted down the hills and coasted up the next. On one such occasion he hit a peak speed of 42 mph! Thom had flair for showmanship. When a group of us traveled to Las Vegas to celebrate his 40th birthday, Thom arranged for a stretch limousine complete with champagne and cocktails to get to the airport. Thom was a born leader. He had unlimited imagination, infectious enthusiasm, warm humor, and unfailing integrity. Both on and off the job he was a great organizer and scheduler, and never at a loss for words. His mental stamina was matchless and he never gave up. Well Thom, this time around it looks like it may be a while before we can continue our conversation from we where we last left off. But in the end, I image we shall. Thom, I want to thank you. These past couple of years have been, quite frankly, exhilarating. You were a brother to me. Without you, the pitchers of beer we once shared will now stand half-empty. The hours of intense conversation we once enjoyed, fall silent. But out of this darkness, off in the distance, new beginnings glimmer for us. We will never forget you, Thom. You have made a difference to our lives and we will carry your zest for living, with us, throughout the future.